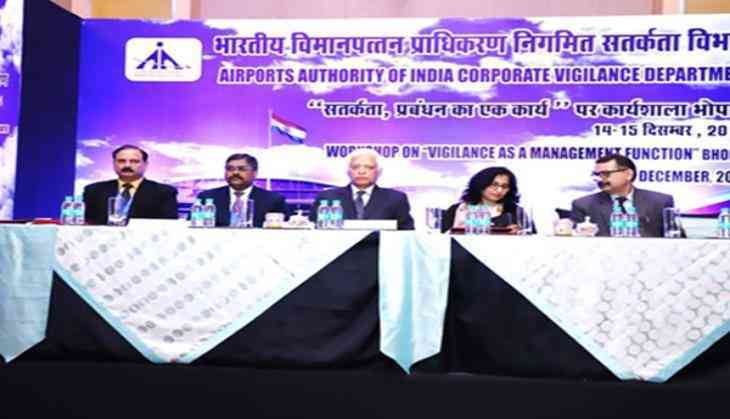 A two-day workshop was organized by the Corporate Vigilance Department of the Airports Authority of India at Bhopal Airport from December 14 to 15. It was inaugurated by Suresh N. Borkar, General Manager (Vigilance). Around 63 executives and non-executives from various airports of the Western Region of the AAI participated. The topic of the workshop was "Vigilance as a Management Function" which covered various aspects of vigilance and disciplinary matters. M.P. Juneja, IEM, AAI, Ex. CTE, CVC and Ex. Addl. Member, Railway Board spoke on "Common Irregularities in Public Procurement Process". The presentations during the workshop included vigilance case studies, ECDA regulations, vigilance aspects in project management and a presentation by General Manager (Vigilance). Various issues related to preventive vigilance were intensely discussed and deliberated during the workshop.